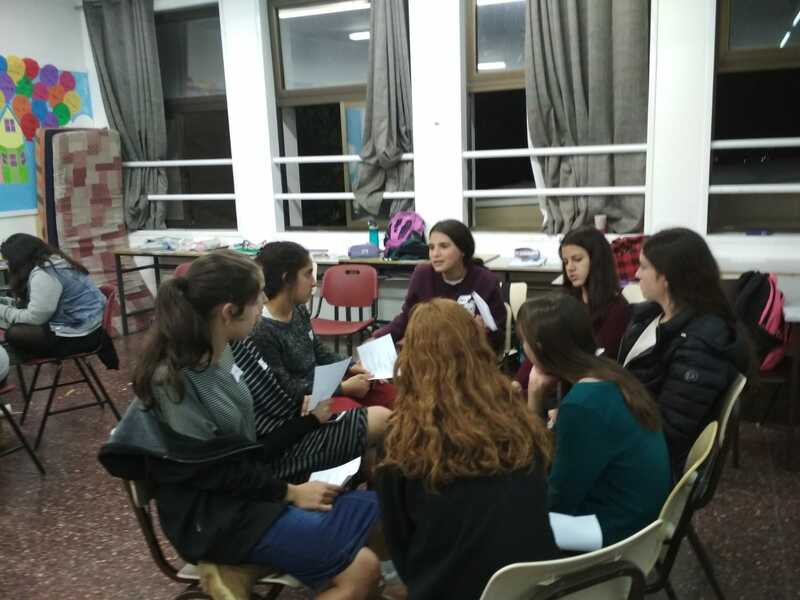 The “Etrog” program has been a staple of OTS’s Neveh Channah High School, in Memory of Anna Ehrman for many years; each Wednesday afternoon, students opt to participate in this special beit midrash initiative which includes a shiur focusing on avodat Hashem. But the program features more than just learning. For example, in November, as Israelis living close to the Gaza border were forced by barrages of rockets to remain in their bomb shelters, Etrog students decided to invite their peers from the Shirat high school in Sderot to spend the night at Neveh Channah, enjoy a brief respite from the stress of their daily lives, and partake in the unique Etrog experience. 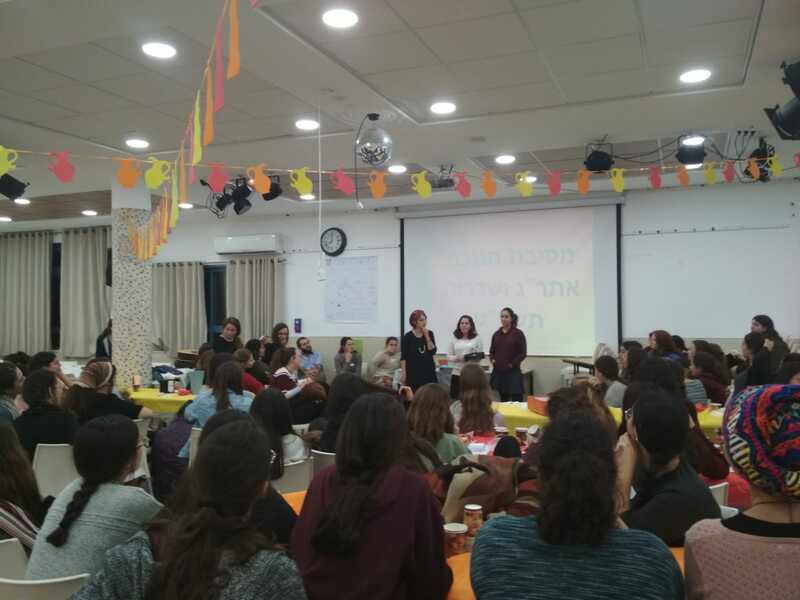 Each week a different subject is chosen and the week that Neveh Channah hosted the young women from Sderot the theme focused on Chanukah and the idea – taken from the Amidah prayer – that miracles accompany us each day (“ועל ניסיך שבכל יום עימנו”). Together, the girls delved into questions such as “What is a miracle? Where do we encounter miracles in nature? When do we feel the miracle on our day to day basis?” They produced short films on miracles and conducted a street survey to see how passersby defined the phenomena. The two groups learned together, sang, danced and for dessert, ended the first day with a miracle-themed cake contest. The next morning, the group visited the Shalva center in Alon Shvut, where they brought great joy to children with special needs and ended the day with a festive lunch. 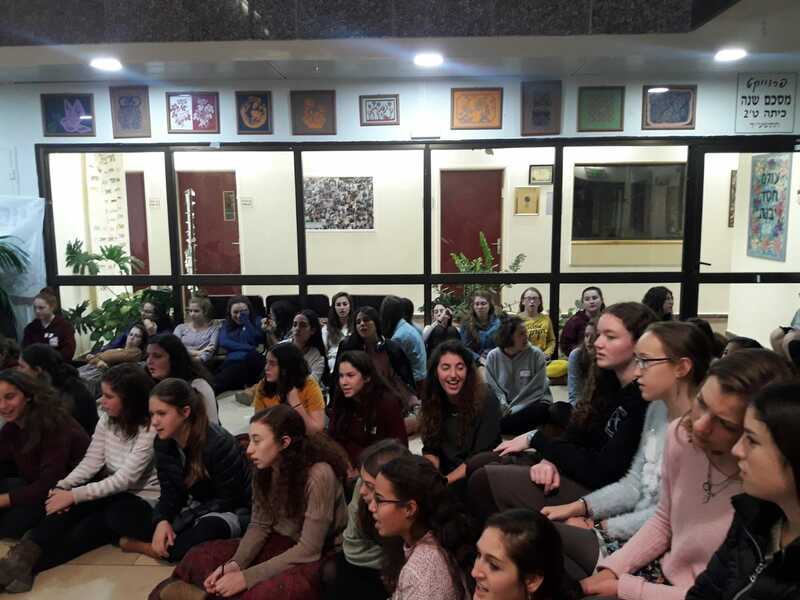 It was very emotional to see 80 girls from the embattled city of Sderot together with 140 of their newfound friends from Gush Etzion. Kol Hakavod to Sharon Brand, director of the Etrog program, to administrator Chanan Rubinstein and to all of the special Neveh Channah teachers and counsellors involved. A special thank you to Principal Rabbi Ronen Ben David for his open heart and constant support.